Nottingham's local television channel Notts TV has confirmed it has ceased broadcasting on Sky. Through Sky, the channel was available to viewers across most of the East Midlands on channel 117. The removal of Notts TV from Sky comes two years and two months after the channel first launched on the platform. Notts TV can continue to be received on Freeview channel 7 via the Nottingham transmitter close to junction 26 of the M1. Coverage is restricted in parts of the Nottingham area. A second transmitter site, at Waltham, North East of Melton Mowbray, provides coverage of the channel in an area ranging from south Nottingham across to the Fens. 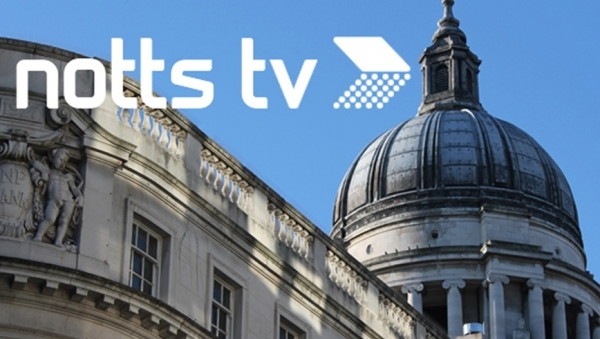 The channel continues to be available on cable, via Virgin Media channel 159 in the local area, and a live stream of the channel is available at nottstv.com. A reason for the sudden removal of the channel on Sky was not provided, although it's known that a number of local TV operators have considered the cost of distribution via satellite as being high in relation to their overall budget. After three years on air, Notts TV is no longer eligible to receive money from the BBC's local TV funding agreement.